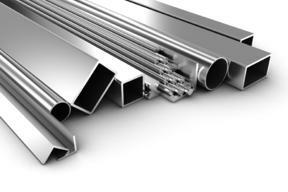 Aluminum Alloy Supplier - Aluminum Tubing, Plates, & Pipe Fittings | Texas Alloys & Tool Co.
Texas Alloys & Tool is a supplier of a variety of aluminum alloy grades and shapes, such as aluminum plates, sheet, bar, pipes, and tubes. Our available aluminum grades include: 6061, 6063, 3003, and 5052, which depend upon your specific application. When weight or corrosion resistance is a factor, industrial aluminum plates and sheets can be used in a wide range of applications. Texas Alloys & Tools is a leading aluminum alloy supplier and can help you with any of your metal fabricating requests. Contact our knowledgeable sales staff today to find out how we can meet your aluminum needs. Texas Alloys & Tool is your source for all your aluminum material needs in DFW and throughout Texas. Aluminum is lightweight yet durable, and it is easily formed. Aluminum's corrosion resistance and weight gives users the opportunity to transport materials long distances at a fraction of the cost. It has high heat and electrical conductivity, and is non-toxic even at high temperatures because aluminum does not burn. Best of all, aluminum is seamless so it can be formed into complex shapes like aluminum anlge in one piece without having to use mechanical joining methods so its stays strong over time. Aluminum alloy simply means that aluminum is the primary metal in the material. Aluminum is commonly alloyed with magnesium, copper, silicon and zinc. The benefit of using an aluminum alloy is that it is extremely useful and versatile as a construction material and is stronger than some forms of steel. These properties allow aluminum alloy to be used in a variety of industries such as aerospace, engineering, automotive, construction, and more. Texas Alloys stocks and distributes a large selection of aluminum tubing and other products throughout Dallas, and also offer delivery services for many parts of Texas. We offer four different aluminum alloys to include: 6061, 6063, 3003 and 5052.